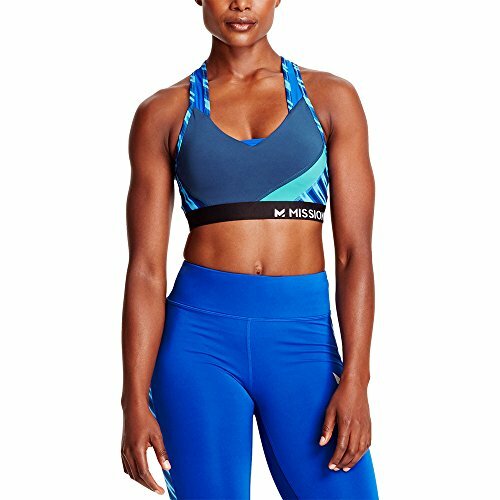 The perfect suitable for your everyday exercises, the MISSION VaporActive Temper Sports Bra is our go-to medium assistance bra for training, running and team sports. 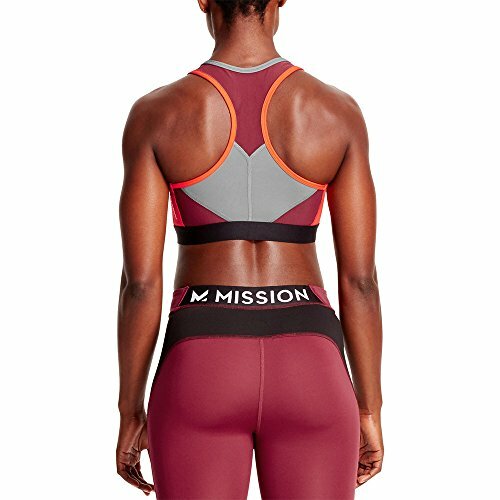 Racerback design offers you improved range of movement. Breathable mesh panels and medium assistance allow you to remain focused to the surface. Super-soft rubber band for protected fit and detachable cups for extra coverage. Revolutionary VaporActive, powered by patented 37.5 innovation, draws in moisture at the vapor level and quickly removes sweat, keeping you cool, dry and comfy. The ultra-fast drying innovation is chemical free and permanently ingrained at the fiber level, so it will never ever deteriorate or wash out. Fabric includes 37.5 active particles that attract and trap odor-causing particles, launching them later on in the laundry. CARE INSTRUCTIONS: Device wash cold with like colors. Just non-chlorine bleach when needed. Do not utilize conditioners. Tumble dry low. Do not iron.